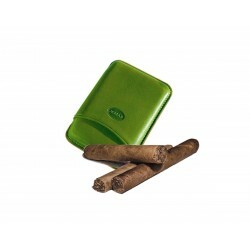 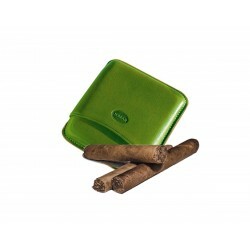 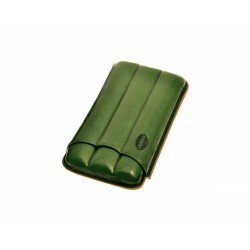 Cigar holder in grooved leather for three 3 cigars, Jemar cigar case in Green leather. Cigar holder in grooved leather for three 3 cigars, Jemar cigar case in Brown leather. Cigar holder in grooved leather for three 3 cigars, Jemar cigar case in aubergine leather. Cigar holder in grooved leather for three 3 cigars, Jemar cigar case in blue leather.